On promotional pamphlets, all companies represent their rental karts as safe and resistant. 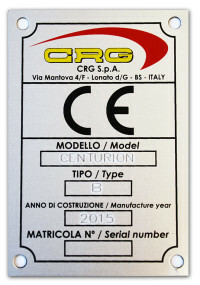 CRG decided to go beyond marketing claims to become the first major manufacturer at the international level to obtain certification under European Community 2006/42/CE guidelines, also known as the Machine Directive. 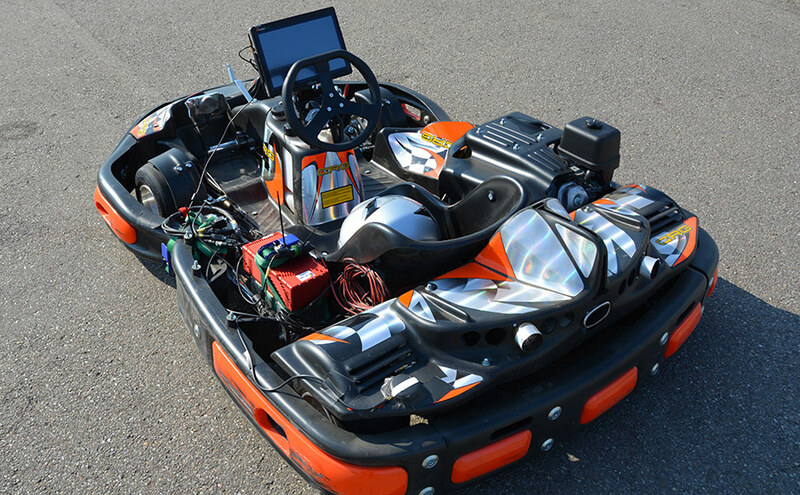 CRG’s rental karts are thus safe beyond doubt, since they come with the CE mark (see photo number 5) and the EC Declaration of Conformity. 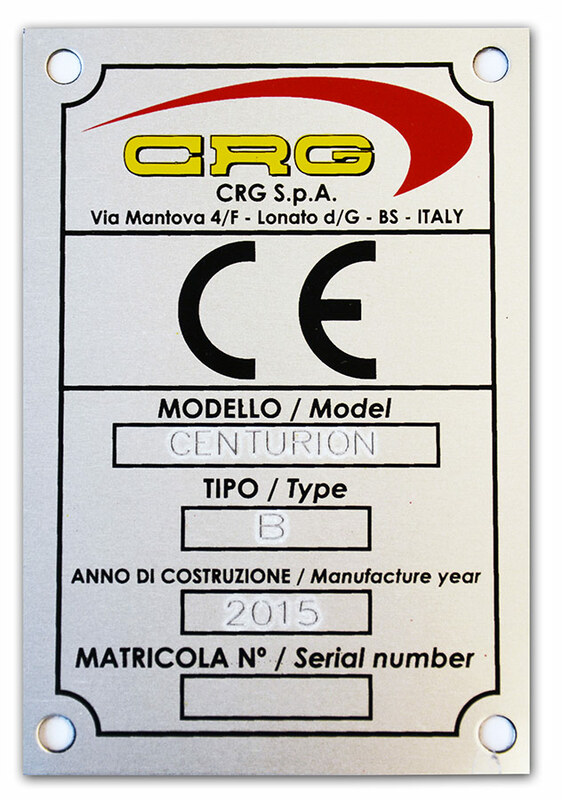 Originally applied to the Centurion 270 model, the principles of CE safety certification now apply to every model in the Centurion line, from the Mini to the E-drenaline, and form the foundation of all future CRG research and development plans. But what exactly does the CE logo mean? It officially guarantees that the product meets European safety standards, which are universally recognized for their rigour. 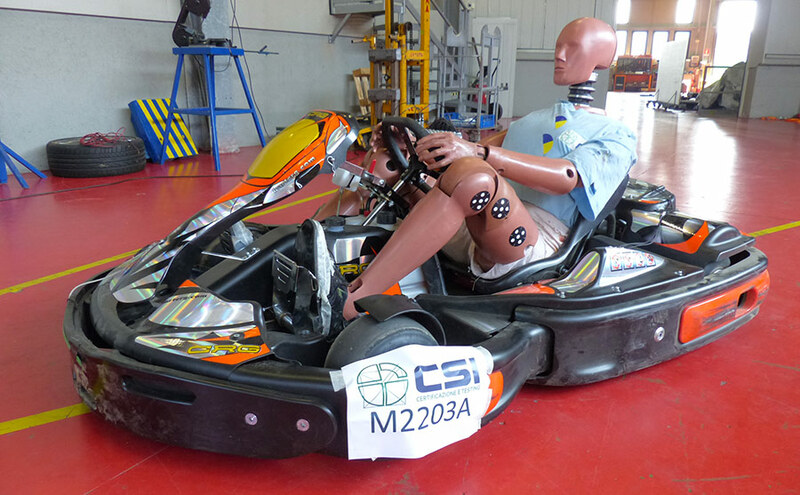 This particular crash test consists in hitting every side of the kart (right, left, front, rear) four times with a 200 kg weight projected at 10 km/h for a total of 16 impacts. 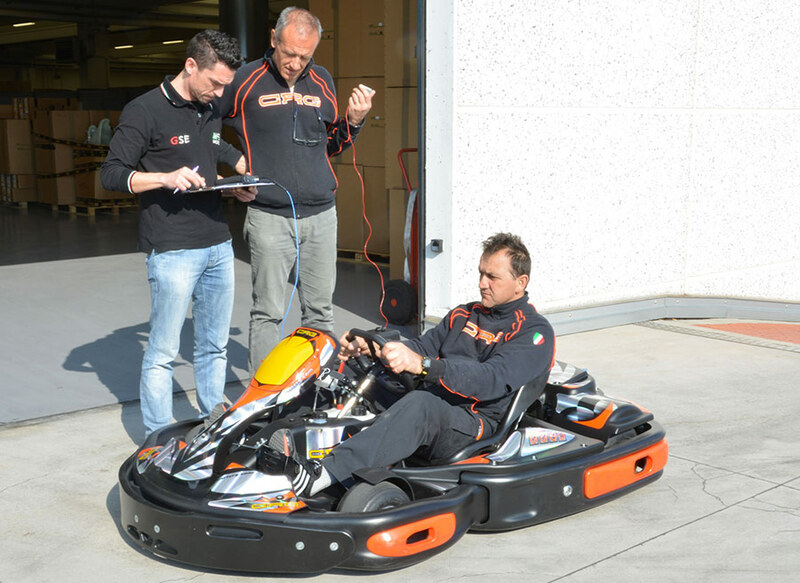 The test includes a dummy-driver weighing approximately 100 kg. 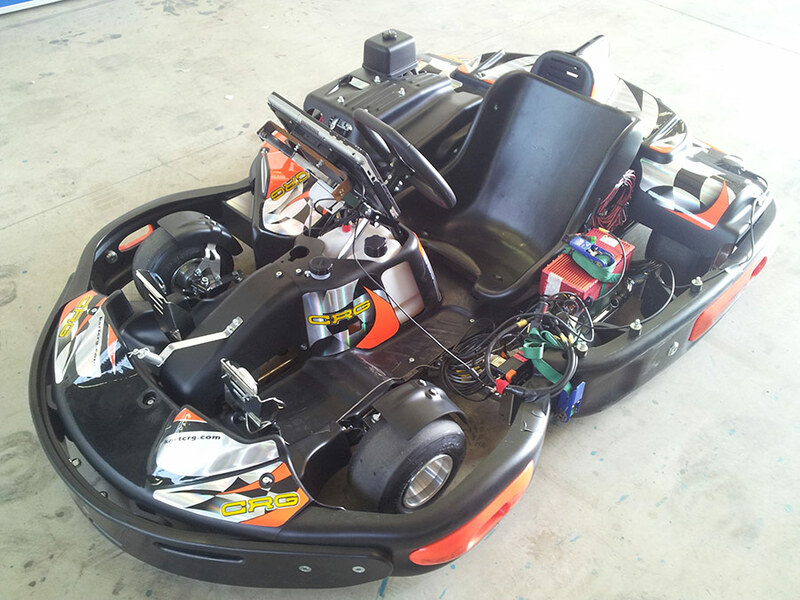 The test is passed if no component on the kart breaks or tears. 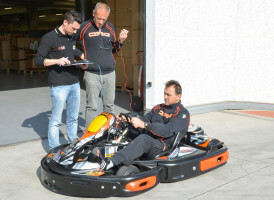 The test measures steering wheel vibrations with three different drivers. To pass, results have to be within the prescribed regulatory range. Norm UNI EN ISI 11201:2010 – Noise emitted by machinery and equipment. 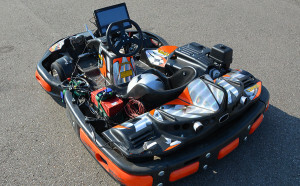 The test consists in measuring the level of sound emission from 7 different points located at variable distance from the kart: values have to fall within the prescribed range.